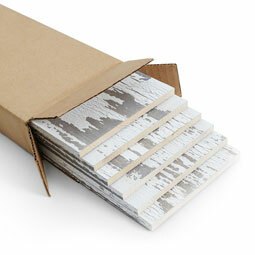 These stylish white wood panels are part of the exclusive Timeline Skinnies series that suits any style. With these prefinished panels the look of a custom wood accent wall is achieved in any home or commercial environment. These panels are lightweight, easy to install, and safe for kids. Make the process of realizating your vision tangible by ordering a sample, giving you the confidence needed to make the right purchase. 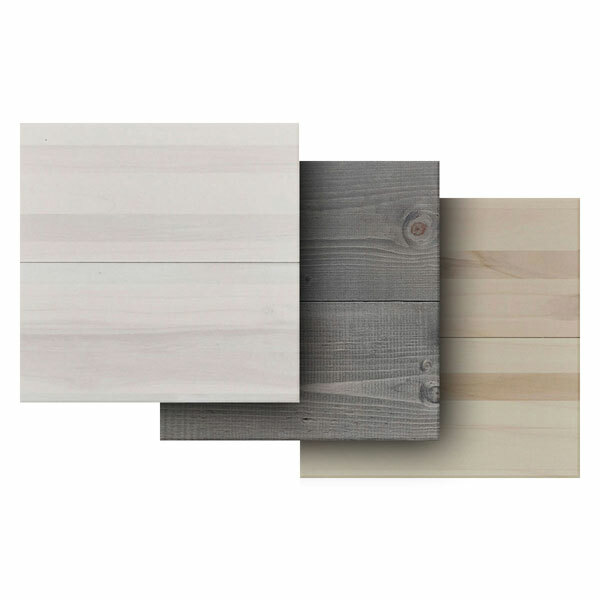 These stylish white wood panels are part of the exclusive Timeline Skinnies series that suits any style. With these prefinished panels the look of a custom wood accent wall is achieved in any home or commercial environment. These panels are lightweight, easy to install, and safe for kids. Get to know the colors and texture by ordering a sample! Reimagine your kitchen, man caves, kid's room, apartment, & more! What is this material? This product is made from Ponderosa Pine.